We were privileged to visit a local book club to present a few books for them to consider reading together. Their graciousness was incredible, and their appreciation for our ideas inspired us to share our picks with all of you. As you will see, we were slightly carried away and included MANY books by a diverse group of authors on many topics. So, our reviews are by necessity brief. To help you navigate this long list, we organized the titles in very loose categories, with a caveat that many would fit in multiple places. We hope this list inspires you to read some great books during these deliciously long summer days. Eight Hundred Grapes by Laura Dave (June 2015) – Run-away bride drives home to Sonoma County, and is helped by her complicated family through decisions about what happens next. Bonus — readers learn a lot about the history of Sonoma’s transition to vineyards. Funny Girl by Nick Hornsby (2015) – A fun look at life as a 1960s BBC sitcom star. Foreign Affairs by Allison Lurie (1964) – Life of an American English professor becomes complicated when she spends a term in England with a younger colleague. It is a fun read that also won the Pulitzer. Where’d You Go Bernadette by Maria Semple (2013) – Mom runs away from Seattle playground dramatics (and fulfills a fantasy felt by many at one point their parenting lives). The Rocks by Peter Nichols (2015) – A love story told backwards beginning with the deaths of the main characters from a fall off a cliff on Mallorca to the moment they met decades before. Big Little Lies by Liane Moriarty (2014) – A fun, well-told tale of suburban parenting. Stones from the River by Ursula Hegi (1997) – Dramatic, different, compelling. All the things a story should be. God in Ruins by Kate Atkinson (2015) – The story of Teddy from Atkinson’s Life After Life. A great read for WWII fiction fans, fans of pilots and those of you who ever wondered what might have been. City of Thieves by David Benioff (2009) – Two remarkable characters try to survive the siege of Leningrad. Wicked with fun, yet poignant. The Spinning Heart by Donal Ryan (2014) – Contemporary Ireland after the fiscal meltdown provides the background for a superb cast of characters. Enjoy. Any novel by Halldor Laxness (Independent People) – This Nobel Prize winning author from Iceland is gifted, and his books take you to a land many of us never get to visit to see people we enjoy getting to know. Station Eleven by Emily St. John Mandel (2014) – Set in the aftermath of the collapse of civilization this tells the story of a Hollywood star, a savior and a cast of actors wandering what used to be the Great Lakes. Dog Stars by Peter Heller (2013) – Set ten years after civilization collapses, a man, his conscience and his dog try to figure out life. Euphoria by Lily King (2014) – A page-turning fictional account of Margaret Mead’s life. Enjoy your time in the Samoan backcountry. Burial Rites by Hannah Kent (2013 in Australia/2014 in USA) – A fictional account of the last woman to be executed in Iceland. In this book the author pictures her as a superb story-teller who becomes a memorable protagonist for a great piece of historical fiction. My Antonia by Willa Cather (1918) – A classic tale of the American Midwest and the American immigration story. Distant Land of My Father by Bo Caldwell (2002) – A saga spanning the 20th century in China and Los Angeles. Enjoy this tale of how a father’s love for China shapes his daughter’s life. 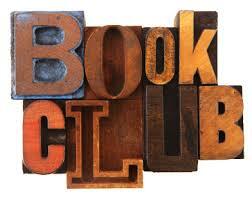 We have recommended this to many book clubs – including an all men club – with great success. The Submission by Amy Waldman (2012) – This fiction answers what happens when the winning design for a monument for 9-11 is awarded to a Muslim. The Shock of the Fall by Nathan Filer (2013) – A story by a first time author, who also happens to work in a facility for the mentally ill, about a young man’s struggle with mental illness. Not as depressing as that sounds. Ghana Must Go by Talye Selasi (2013) – A tale of immigration to America, the pull of the home country, and how some decisions by your parents have ramifications for you for the rest of your life. The Cove by Ron Rash (April 2012) and In The Fall by Jeffrey Lent (2000) – These two books are gorgeously written and approach the Civil War from two different settings, an isolated holler in North Carolina and the mountains of Vermont. On Beauty (2008) by Zadie Smith with Howard’s End by EM Forster (1910) – On Beauty beautifully retells Howard’s End, a classic tale of England. Prep (2004) and American Wife (2008) by Curtis Sittenfeld – In these two books, Ms. Sittenfeld tackles Prep School and former first lady Laura Bush. Both will leave you thinking differently. Girl At War by Sara Novic (2015) with A Constellation of Vital Phenomena by Anthony Marra (2013) – Both books tackle the impact of war – one in Croatia and one in Chechnya – on those left in its wake. Midnight in Europe by Alan Furst (2014) and Winter in Madrid by CJ Sansome (2008) – Both books look at WWII from the perspective of the Spanish Civil War. Mr. Furst explores this theme using a thriller, Ms. Sansome in a more traditional historical novel. Everything I Never Told You by Celeste Ng (2014) – “Lydia is dead. But they don’t know this yet.” These words begin this novel about a mixed race Chinese American family living in 1970s small-town Ohio. Weightless by Sarah Bannan (2015) – This novel explores the consequences of bullying in a tale of a high school girl who moves from NYC to a football obsessed town in Alabama. Lost in the Sun by Lisa Graff (2015) – A story of how one boy is trying not to let a tragic accident define his life and how a girl with a disfigured face shows him the way (sort of). How it Went Down by Kekla Magoon (2014) – A tale for middle grade readers that illustrates the importance of perspectives and prejudice. The plot can be summed as a black boy in a hoodie is shot by a white man. This book shows there is more to that tale. The Assassination of Margaret Thatcher by Hilary Mantel (2014) – A collection of short stories – some completely haunting — by a master storyteller. The UnAmericans by Molly Antopol (2014) – Stories about Communists in the USA and abroad. H is for Hawk by Helen McDonald (2015) – TH White, birds and dealing with the loss of a father mingle in this well-told memoir. Any book by Alexandra Fuller – A superb set of memoirs about growing up in Africa and finding one’s place in the world. A Moveable Feast – Ernest Hemingway (1964) – A FABULOUS tale of life as an American ex-pat in Paris that is sprinkled with the famous — the Hemingways, F Scott and Zelda Fitzgerald and others. West with the Night by Beryl Markam (1942) – SUPERB tale of a woman and her life in flight, as a horse trainer and as a woman making her way in 20th century Africa. Four Seasons in Rome by Anthony Doerr (2007) – The author of All the Light We Cannot See first wrote this memoir of his year in Rome on a writing fellowship with his wife and newly born twins. Can We Talk about Race? And Other Conversations in an Era of School Resegregation by Beverly Daniel Tatum (2008) – Timely collection of lectures about race in the USA. Citizen: An American Lyric by Claudia Rankine (2014) – These poems are cleverly illustrated and outlined in a way that opens conversations about race in the USA. The Wright Brothers by David McCullough (2015) – The historian tackles two brothers and their impact on the world. Or you could read his Truman or John Adams and then watch the primaries and discuss USA politics all night long. Brave Companions: Portraits in History by David McCullough (1992) – A collection of essays about America, Americans and how to live. Manhood for Amateurs by Michael Chabon (2010) – Mr, Chabon has written a superb group of thoughts about being a man, fatherhood, being a son and friend. Enjoy.